Now is your chance to own this beautiful colonial in Grande View Park. Featuring 3 bedrooms, 2.5 bathrooms, and a 1 car attached garage. The open kitchen offers sliders to the rear fenced yard with a shed. The large dining room featuring a window seat can accommodate big furniture such as a china cabinet/buffet/dining table, etc.. The laundry/mud room/half bath is located on the main level right off the kitchen from the garage for easy access bringing groceries in from the car. The upper level features the 3 bedrooms and 2 full bathrooms. The master bedroom offers a super bath with separate soaking tub/shower/double sinks and a $4000 custom closet system installed by The Container Store. The basement was recently finished with a recreation room including a wet bar, beautiful butcher block counter top and a slate pool table that conveys! There is an unfinished area in the lower level that can be used as a den/bedroom. Recent improvements since 2014; stainless kitchen appliances, washer/dryer, rec room on lower level, white vinyl fence, rear steps to yard , window seat, most lighting fixtures, water heater and HVAC. 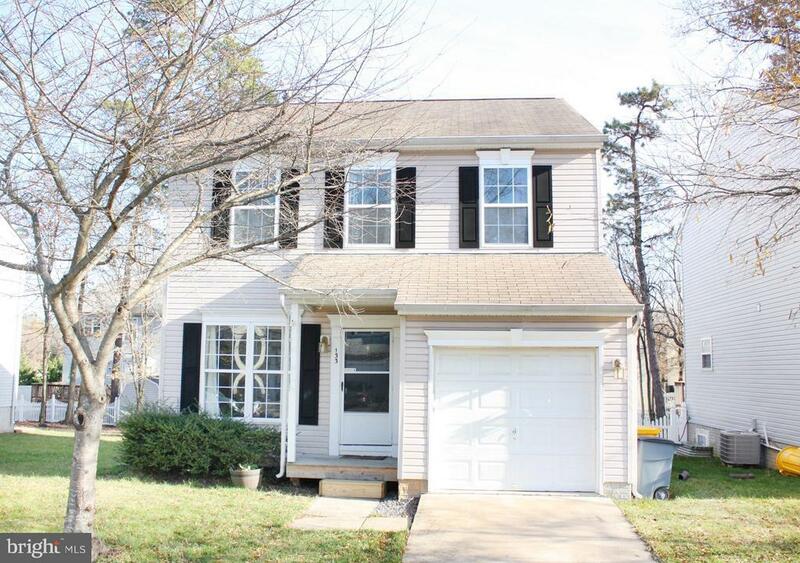 This home is in an excellent commuter location near Fort Meade/NSA/BWI. Convenient to MD 100, 97/32/95. Community offers a tot lot/playground area.